This is where I am staying in Hawaii. It is nice and warm here. I can hear the ocean from my room. I love you. 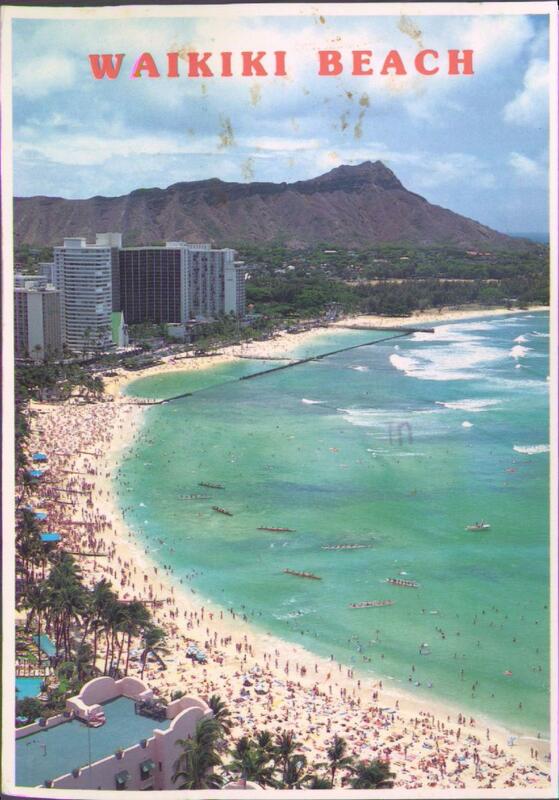 The world famous Waikiki beach dotted with beachgoers watching the 4th of july canoe regatta. 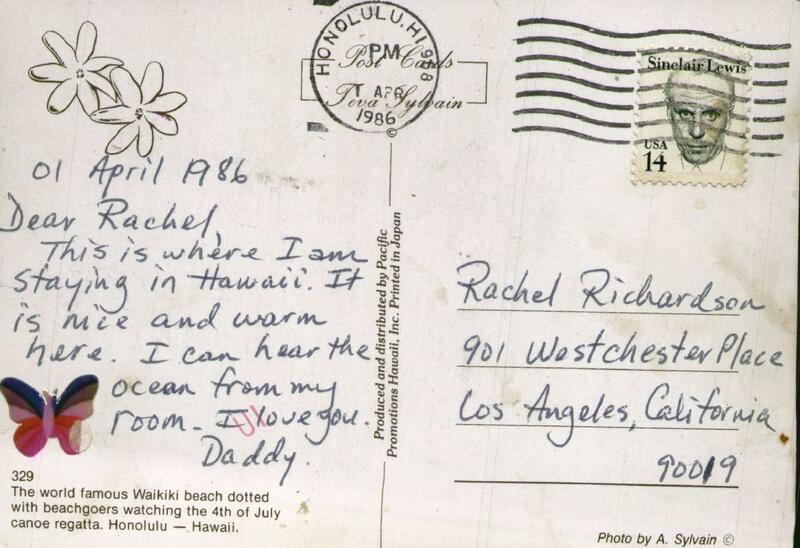 Honolulu — Hawaii.